Phil Steele’s 2019 College and Pro Workbook. 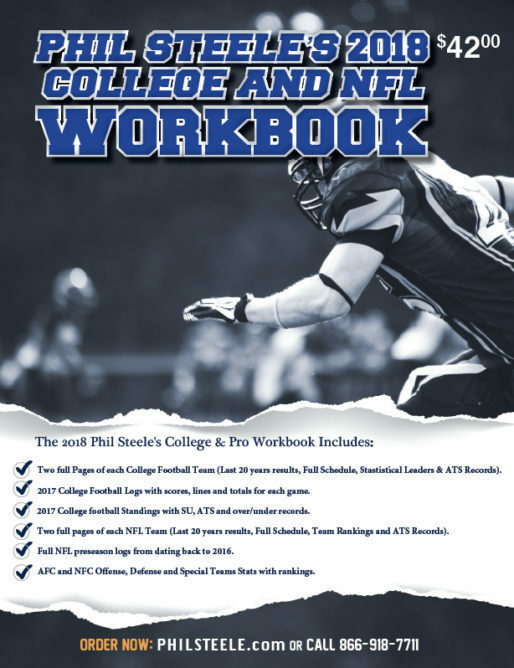 The 2019 College and Pro Woorkbook is the perfect companion for anyone during the College or Pro Football season. In the workbook you will have 2 complete pages for each 32 NFL teams and 130 College Football Teams. Fill out the teams schedules with results as you go through the season. Check out what’s inside this jam packed publication. **Shipping is included in the price of the Scorebook. Shipping out late July 2019.